Bengalis are renowned for their sweet making skills. 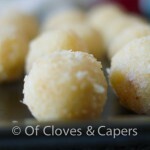 They make a huge variety of finger-lickingly good sweets, specially out of paneer. 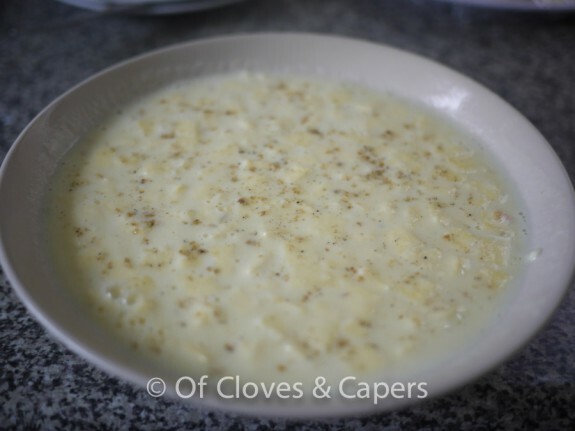 This recipe Chanar Payesh, is one such recipe that is made from freshly made paneer. 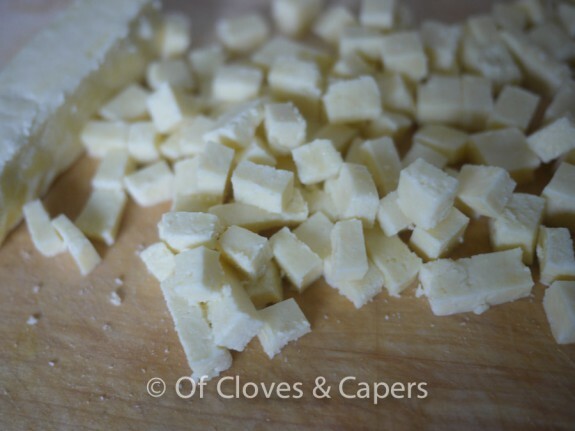 For a shortcut recipe, it is ok to use store bought paneer. Try it.. It’s simply fabulous. 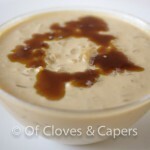 This recipe is said to be Krishna’s favourite. My little Kanha at home loves it too, especially because his beloved Thamma (grandma) made it for him! Grate almost all the paneer. You can also use the large side of the grater to grate this paneer. Leave a tiny bit to be cubed, if you so desire, for a few crunchy bits for more texture. Boil the milk with sugar while stirring constantly. Do not let it stick to the bottom of the pan. When slightly thickened, after 15 minutes, add in the grated paneer. 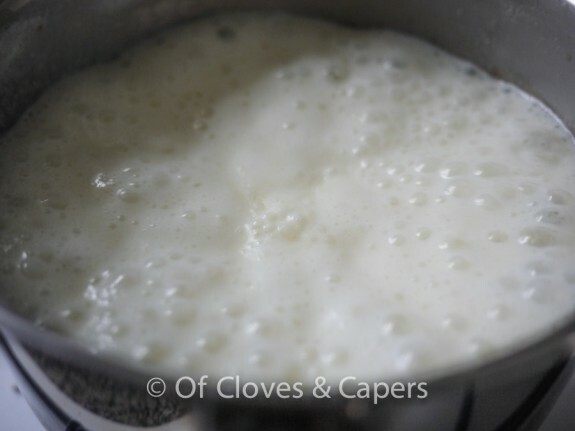 If you are using freshly made paneer, just put it in after straining. Let it boil really well. When it boils for 5 minutes, add the paneer cubes. Let boil for another 5-7 minutes and add cardamom powder. 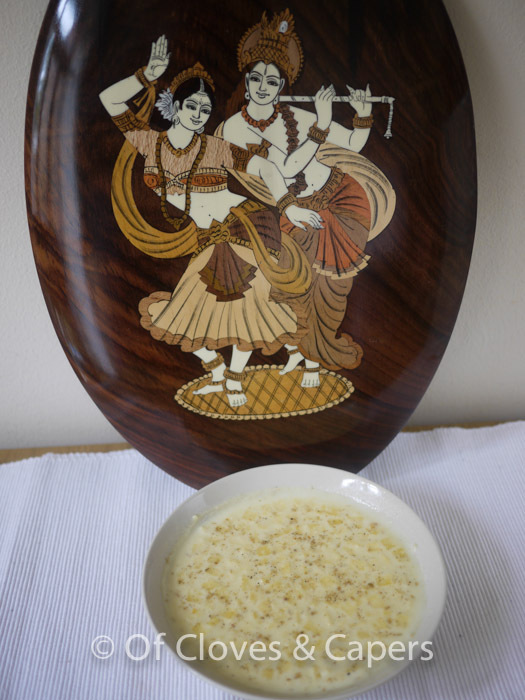 It is a good idea to pour straightaway into serving bowls and then chill, as the Payesh starts cooling rapidly and forms a thickish film on top which looks quite spectacular. It would look best if poured in small bowls straightaway and then served when cool. 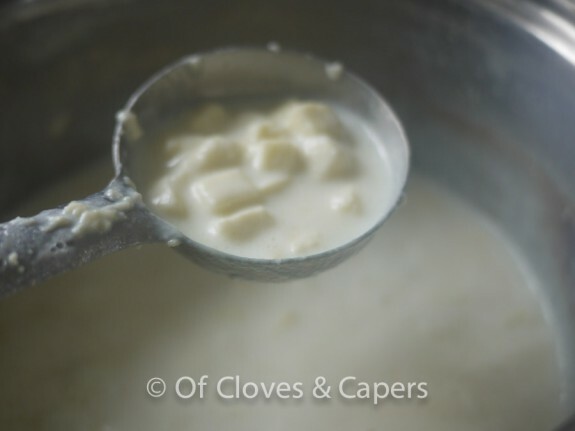 Recipe Type: Dessert Tags: chana, GOkulashtami, kheer, Krishnajanma, Paneer, pudding Ingredients: Paneer If you like this recipe, please share, or leave a comment below. It only takes a click! Kalyani, this recipe is specially made by Ma for you. Hari Bol !! Lots of love and dandavats to Ma…. Shall surely cook it for Krsna… Am so happy… Does she remember me? …. Jay !! and she actually offered to Sri Radha and Sri Krsna…. How fortunate ! You must have relished Krsna Prasad….